One of the most popular vacation destinations isn’t a single place. Rather, it’s a number of places, enjoyed from the luxury and convenience of a cruise ship. Cruise ship vacations are more popular than ever, and travelers prize their all-inclusive fun and exciting excursions through some of the most stunning scenery Florida, and the world beyond, has to offer. While fun and sun abound, a cruise ship injury is not outside the realm of possibility. Whether it is a slip-and-fall, a pool accident, a fall from a balcony, or food poisoning, these incidents can turn a dream vacation into a nightmare. If you have been injured or have fallen ill while on a cruise, contact the legal team at the LaBovick Law Group. Our attorneys have decades of experience in personal injury law, and with cruise ships in particular. Maritime law brings its own set of challenges, and you require advocates who are not only fully versed in its complexities – but who will fight aggressively on your behalf. Most people do not realize that maritime law, under which cruise ships are regulated, is significantly different from laws that regulate injuries on land. Legislation such as the Jones Act, Seaman’s Act, and Longshore and Harbor Workers Compensation Act, are designed to protect workers, crew members, and staff. Passengers, however, typically have fewer protections, and fighting for your legal rights can be more challenging. Cruise operators must adhere to the standards of “common carriers.” That is, they must provide a high standard of care for passengers in terms of safety. However, proving negligence or reckless disregard can be complex, particularly if you are trying to navigate the legal system on your own. Consulting with an attorney specializing in cruise accidents helps ensure that you have the representation you need to build a compelling case and receive compensation you are owed. If you suffer a cruise ship injury, the first step is is to seek medical treatment and report the incident to a crew member immediately. This is an important step in ensuring your safety and, if you choose, pursuing legal remedy. Document as much of the scene as you can with photos and/or videos, and if possible, gather witness statements. Once you arrive back at port, contact Miami’s top cruise ship accident attorneys. We will contact any witnesses, speak with cruise ship personnel, and handle interactions with the cruise line and/or insurance companies so you can focus on recovering. Maritime law, particularly as it pertains to cruise ships, is complex. For example, you most often need to file suit in the city or jurisdiction in which the cruise line is based, and you must comply with accelerated statutes of limitation. Failing to follow the strict letter of the law can result in loopholes that derail your case. We close these loopholes. With in-depth knowledge of the statutes related to cruise ship injuries, your attorney will develop a compelling case in a timely manner so you will not miss out on the compensation you deserve. Should you let the possibility of an injury scare you away from going on a cruise? Not at all. 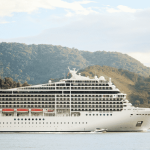 Cruises are still one of the best ways to vacation and, generally speaking, people are quite safe – and satisfied – from the the time they leave port until the time they return to dry land. If you are injured, however, do not hesitate to take steps to protect your physical wellbeing and your financial health. Maritime attorneys with the LaBovick Law Group deliver Florida’s best representation. We have a long history of protecting clients’ interests – above those of cruise lines and insurance companies. These profit-generating organizations have deep pockets, and their interest is in minimizing your compensation. As your advocate, we will fight passionately to ensure your rights are protected. Contact us today.